When you see the numbers 30.06 and smile you might be a gun guy. If you see 30.06 posted on a business and you cringe you are a Texas gun guy. 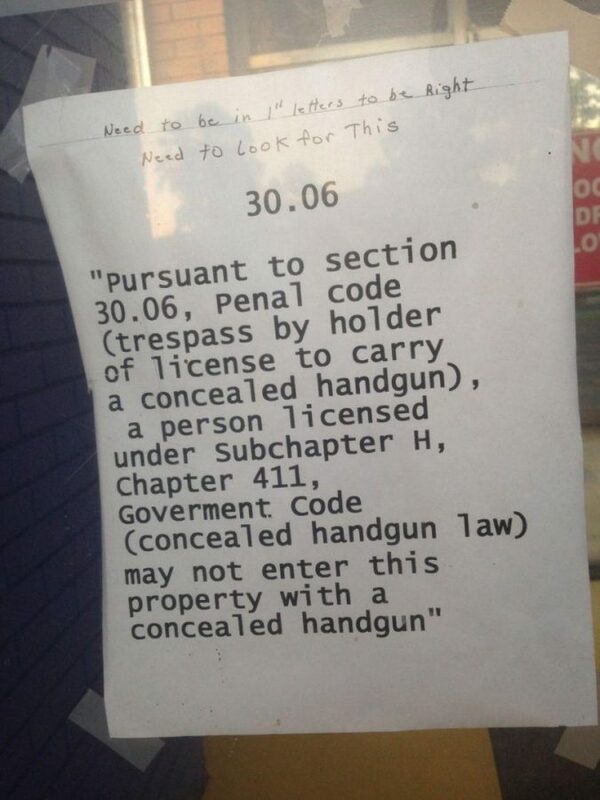 30.06 relates to the Section of Penal Code where the law outlines “trespass by a holder of license to carry concealed handgun.” Here you will find the complete lists of TX CHL laws, but in general, if a property owner post the below text in in contrasting colors with block letters at least one inch in height in a conspicuous manner clearly visible to the public in order to declare a legal “Gun Free Zone” and to carry past it is Class A misdemeanor. 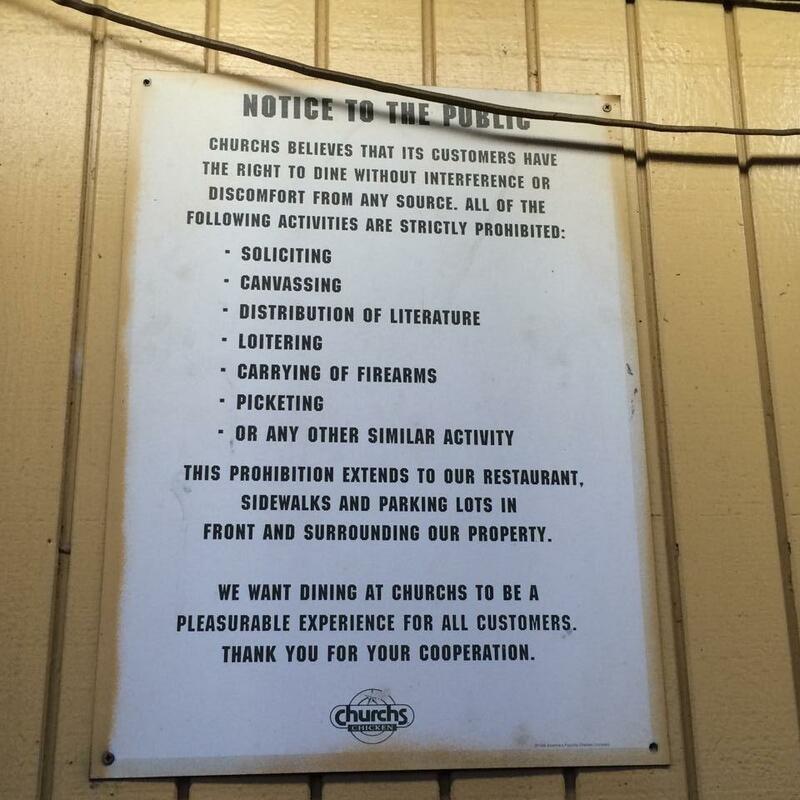 Nor does this sign have any weight of law from Church’s Chicken in Jasper. Although it will ensure that you are boycotted due to your anti-American stance and insulting firearms owners as a nuisance. How do you feel about Gun Free Zones?